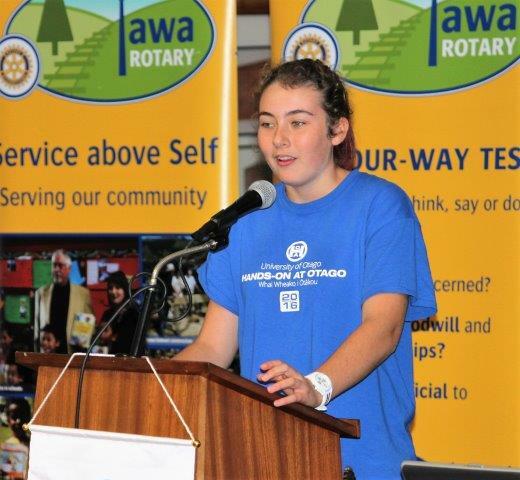 Tuesday 03 May 2016, our guest speaker Morgan Holland, gave us a very good update from her recent trip where she attended the Otago University Hands on Science Experience back last January. The Hands on Science Experience is a week-long science event for students in Years 11/12. It is held at Otago University, students are accommodated in a hostel, attend seminars at the university, participate in a small research project of their choice, and see the science that takes place in and around Dunedin. Morgan gave us a very good account of her trip and shared many of the experiences she had, which included dissecting a shark. It was a pleasure to hear Morgan speak - we all appreciated her commitment and passion to learn and study medicine and science. 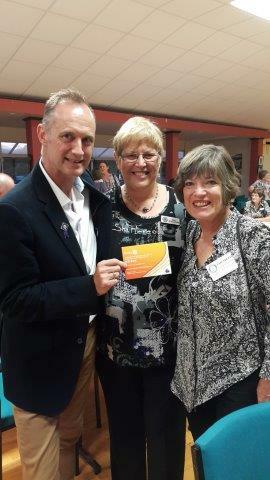 She was most appreciative of Tawa Rotary’s support which enabled her to travel to Dunedin. The continuation of the Tawa Rotary AGM was deferred to Tuesday 3 May 2016. Tawa Rotary is assisting the Salvation Army with their annual collection on Saturday 7 May at New World Tawa from 9am-7pm. We will require 2 collectors for each hour as we will be looking after both entrances. Chris Black, Director Community Services, will be mentioning this at the Tuesday 26 April meeting. If members are able to assist they can fill out a form there or e-mail c.black@xtra.co.nz with their preferred times. Our annual Book Fair will be held once again at the Tawa New World Mall spare shop over the weekends of 11/12th and 18/19th June. 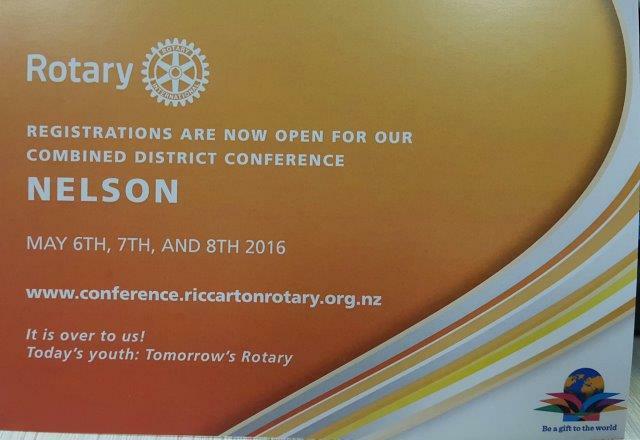 This is an important event in the life of Tawa Rotary and now represents our largest fund-raising opportunity. So it is important that all members are able to participate in the organisation prior to and supervision on the day, and clean up afterwards, to make this a highly successful event. As well as the actual sale days there will be working-bees beforehand on at least two Tuesday evenings prior and three Sundays during May to organise the setup of trestles and the layout and sorting of books. I hope that all members will make this a priority in their diaries to come and help. More details on individual working-bees will be posted closer to the time once we have confirmation from New World on the when the whole room will become available for our setup. 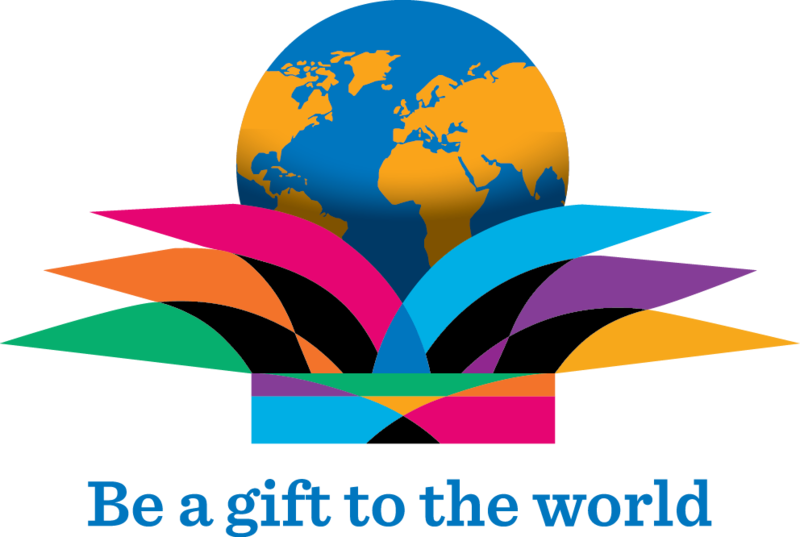 Members may receive inquiries from the public about where to drop off books. Books can either be dropped to the large bin that is placed for this purpose within the New World Mall north corridor. Or if donors would prefer to have the books collected then I’m happy to do this – please either forward the request to me (with a name, address and contact phone number), or ask donors to contact me directly. For members who have books of their own for the Book Fair or who are holding stocks to contribute, then please don’t add these to the bin, but bring them with you to one of the Sunday work bees, or arrange with me to have them collected. Editor's Note: a big thank you to Wendy Betteridge for posting an event notice on our Tawa site, and promoting this book fair through Our Porirua. "If you haven’t already registered for Conference, please do so ASAP. This will assist us greatly with confirming we have the correct numbers." * The rostered member introducing the speaker is asked to email a brief written summary of the talk by Friday that week. Email to Laura Sommer. Please arrange a substitute if unable to attend or you have to leave early.  Important for catering: please register guest attendance and apologies for non-attendance on Monday before midday to: tawa.rotaryapologies@gmail.com. Original generation time 1.3796 seconds. Cache Loaded in: 0.0283 seconds.